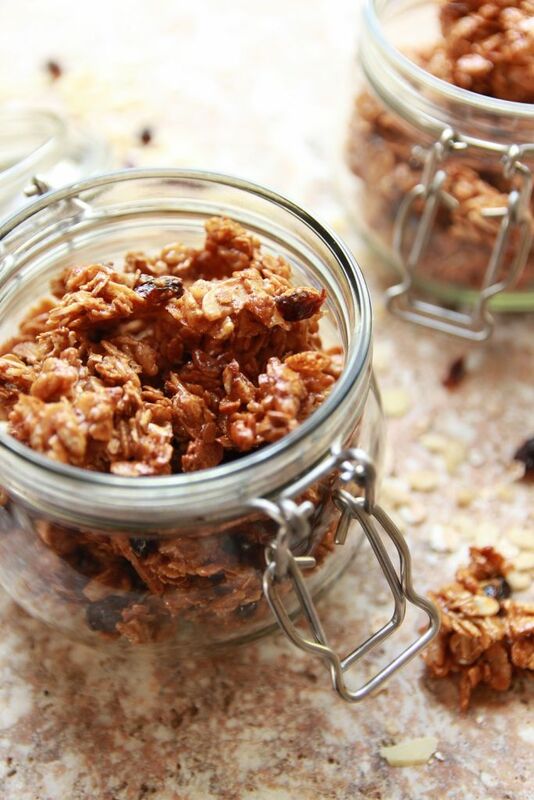 I want to get you all acquainted with these heavenly, not too sweet puffed rice granola clusters. They’re made up of just 8 ingredients, naturally sweetened and go great with just about anything. 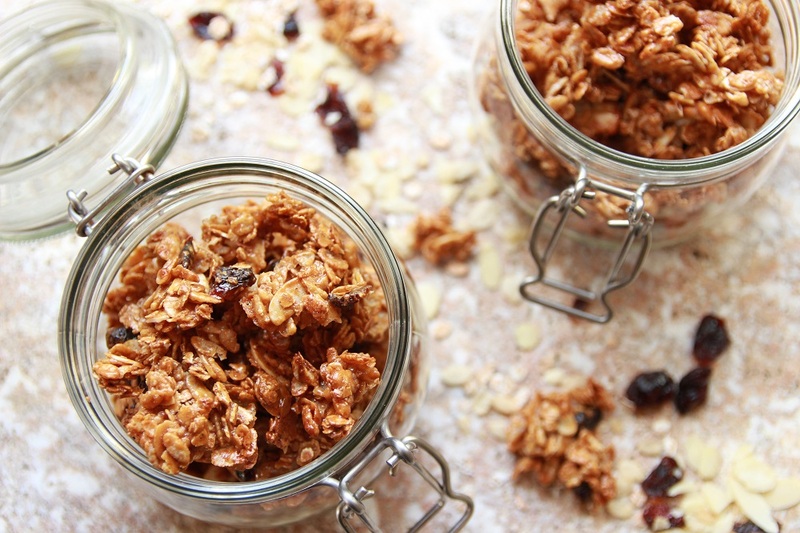 Whether you eat them for breakfast, lunch or simply snack on them, like I find myself doing most of the time, this is a vegan granola recipe you should get yourself familiar with. I usually add different nuts, and seeds, depending on what I have in my kitchen. Sometimes I’ll even add a few chopped dried fruit and other times I’ll just snack on them as is. Place the brown rice puffs, oats and cinnamon in a bowl along with the almond flakes and cranberries. Place all the wet ingredients in a small bowl, mix well until combined and pour it in with the dry ingredients. Mix well with a spoon then thinly spread it out onto a baking tray lined with baking paper and pop it into the oven to bake for 10 – 13 minutes. 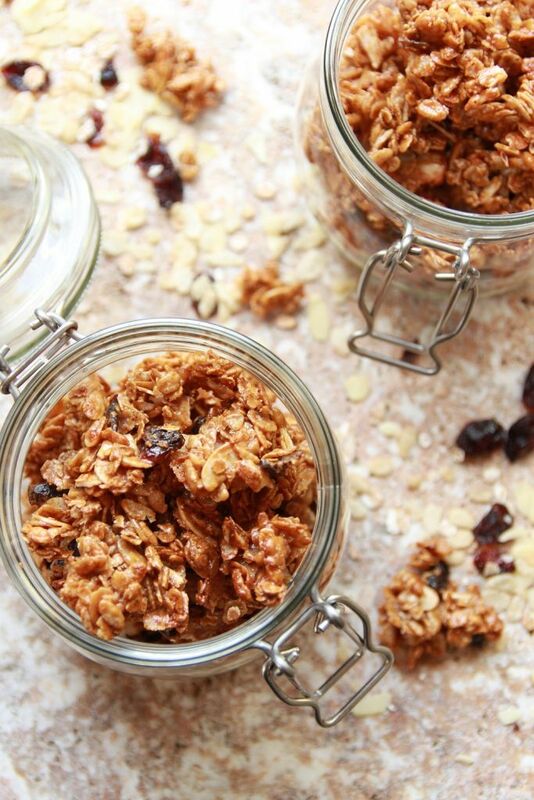 Take the tray out to completely cool then snap the granola into desired size, place in a glass jar with an airlock, and store at room temperature. Best made in small portions like this, to ensure freshness. So there you have it everyone. If you make this be sure to tag me on Instagram @lets_brighten_up. I’d love to see how beautiful your clusters turned out. If you haven’t already tried my Vegan Pancakes then now is the time. They’re easy to make, require just 5 ingredients and taste heavenly. Crunchy and so yummy! And the best thing is they are so healthy! !